Lithium-ion batteries were first commercialised in 1991 and while the battery use has increased by leaps and bounds over the years, performance improvement is still limited with difficulties to increase battery capacity that still takes over an hour to fully charge. Enter the graphene ball. Developed at Samsung Advanced Institute of Technology (SAIT), researchers have found a way to fully charge a battery in 12 minutes using the graphene ball technology. Currently, batteries with fast charging support still take about an hour to fully charge. Moreover, the researchers claim the battery temperature can be maintained to up to 60C, a temperature standard maintained by EV batteries. 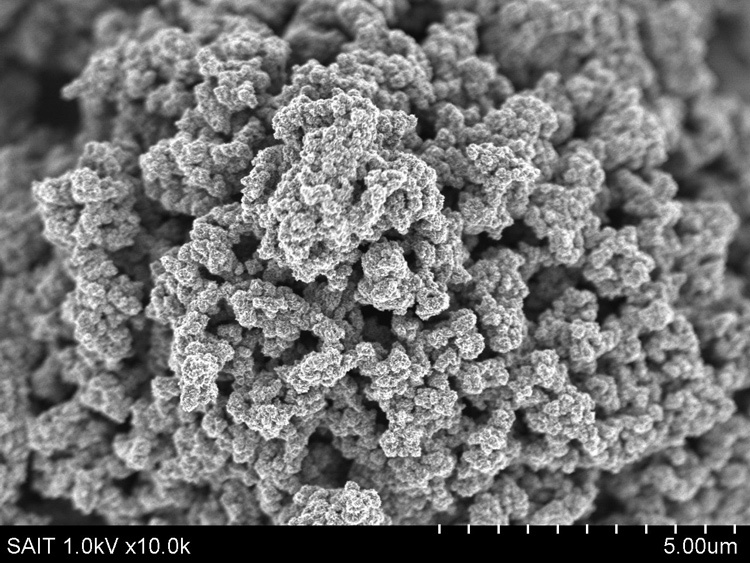 Samsung says this technique enables them to mass synthesise graphene – a thin carbon element subtracted from graphite – into a 3D popcorn using silica (SiO2) that helps to protect and give conductivity to battery, thus reducing charging time and at the same time ensure temperature protection. SAIT has applied for a patent in United States and South Korea.